Cúl Camps – Cúl Camps will take place in Kinlough from July 9th to July 13th. Last year a great crowd of children took part. You can book a place on www.kelloggsculcamps.gaa.ie. 50/50 Draw – The winner of last week’s draw was, Johnny Higgins, Tullaghan. Johnny won €339. Get your ticket now for this week’s draw. You can now play 5050 as a Direct Debit or Annual Ticket. Never miss out on buying your weekly ticket again!!! And if you are away from home, you can still support Melvin Gaels! Make Your Mark on the Park Development Fundraising – The work of the Community Development Project will be starting very soon. 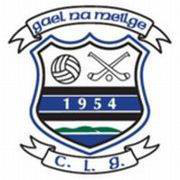 Melvin Gaels Club is assisting with the fundraising which has started. All Club members, ex-club members, players, and ex-players are asked to help in the fundraising which will involve “Make Your Mark on Melvin Park” for €100 which will represent a square of Melvin Park, entry into a draw, prizes 5x €1000, your name on a commemorative plaque. To get your “Mark on Melvin Park” contact Spar, Kinlough or Pat at 0871787194 or Katherine at 087 287 0086 or go towww.kinloughcommunitycentre.wordpress.com. Members of the Development are calling to all houses in the area and will be asking for support and will discuss the project with everyone. It is well known that the facilities at Kinlough are not up to the standards needed to facilitate the Melvin Gaels Club. The Club has been successful over the years on the playing field and we want the facilities planned in this project to match this success. With the help of all the Community this can happen! Sympathy – The Club extends sympathy to the Hill Family, Askill on the death of Patricia’s brother, Joseph Mc Shea, Belleek. May he rest in peace.